QuickSilk offers the most secure CMS on the planet, with enterprise class security at a price the midmarket and small business can afford. Our traditional competition, Open Source Software (OSS) CMSs such as WordPress, Drupal and Joomla, are notoriously unsecure and we are confident that there is simply no comparison when measured against QuickSilk. Penalties and criminal ramifications against business owners and executives is a very legitimate concern in some scenarios, and in today's litigious environment the liability risk to organizations is simply too large to ignore. We understand that security is not binary – not on or off – not #3 on a list of features. Security comes from the application of technology and process, the adherence to standards, compliance and certification that collectively and cumulatively deliver a secure environment. Other CMSs, OSS CMSs in particular, cannot address security because they do not have tight enough control over their source code and they have zero power to control their development community. 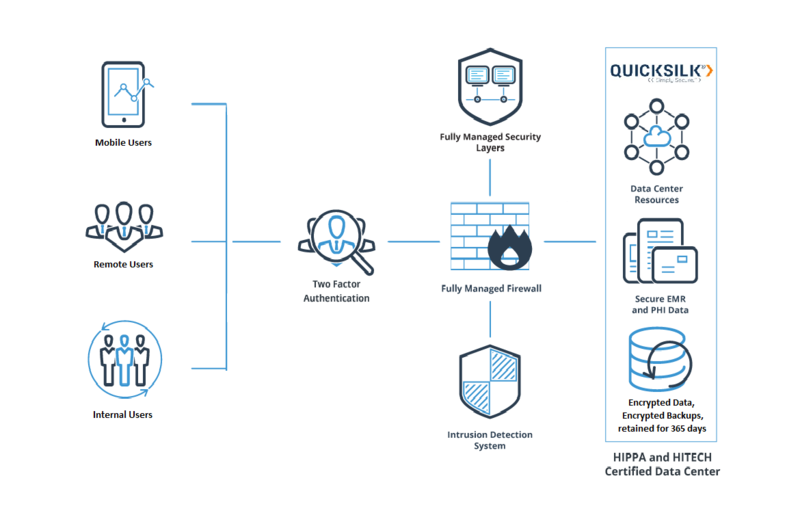 Here are some of the key steps we have taken at QuickSilk to provide you with this level of secure environment. QuickSilk's source code is not exposed to “Hackers”, as it is with our open-source software content management system competitors. Because of this “Hackers” are prevented from attacks like security breaches, exploit attacks, SQL injections and password locating processes among others. And because QuickSilk code is fully managed, if you ever run into an issue just let us know - we'll get it fixed right away. QuickSilk uses the latest generation processors from Intel and Juniper for network switching/routing so your critical data is protected around the clock. Our NOC is housed in a SAS 70 Type II certified facility featuring enhanced security. Cartika is certified on the Safe Harbor List and abides by the principles set forth in the Safe Harbor framework as set forth by the U.S. Department of Commerce regarding the collection, use, and retention of data from the European Union. Our HIPAA compliant environment is tailored to meet your HIPAA Compliance requirements and protect your organization. Customers operate their application on one server, with the data secured and located on a separate server. QuickSilk applies rigorous quality assurance and quality control testing at each step of its development process. Our Quality Assurance process ensures we are doing the right things, the right way. Our quality control testing ensures we are a building a product that meet or exceed customers' expectations In addition, we perform post-release testing whenever a new version of QuickSilk is released. From the moment you sign up for a free trial, QuickSilk’s support team is ready, willing and able to make certain your experience is smooth from the get-go. Your site will be monitored & managed by us around-the-clock from day one. And if you ever need help we are only an email or phone call away.